This elegant parson dining chair from Corliving is sure to bring an added dose of style to any dining room. Perfect for both busy kitchens and elegant settings, this chair comes designed with a white faux leather seat and brown solid wood frame. Style your home with these inviting dining chairs from the CorLiving Collection. This contemporary and elegant set of tall back chairs are the perfect way to dine and features sturdy hardwood legs finished in a dark espresso stain. Easy to vacuum clean, the cream woven fabric will add comfort and support while the beautifully foam padded back provides a comfortable formal elegance to your dining room setting. The DPP-310-C chairs offer great value to make an easy statement in your home. Add comfort to your dining room with this transitionally styled set of counter height dining chairs from CorLiving. This set includes two Rich Cappuccino stained wood dining chairs with comfortable upholstered Woven Cream fabric seats. Constructed from hardwood and hardwood composite these chairs assemble with ease. Great value with exceptional style! Atwood Solid Wood Brown Parson Armless Dining Chair with White Faux Leather Seat - Set of 2 This elegant parson dining chair from Corliving is sure to bring an added dose of style to any dining room. Perfect for both busy kitchens and elegant settings, this chair comes designed with a white faux leather seat and brown solid wood frame. 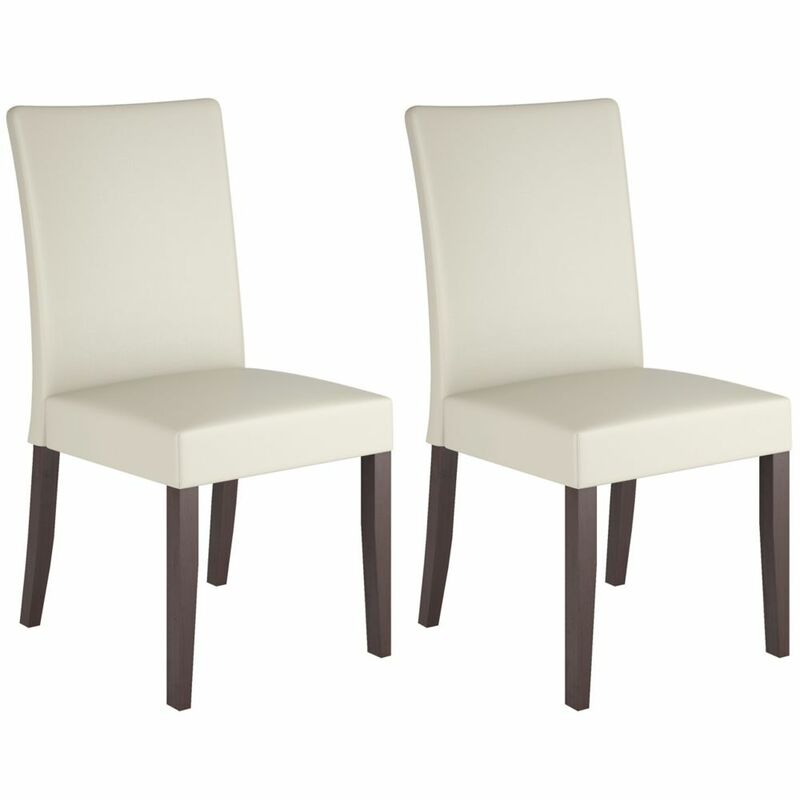 Atwood Solid Wood Brown Parson Armless Dining Chair with White Faux Leather Seat - Set of 2 is rated 1.0 out of 5 by 1. Rated 1 out of 5 by Awful product from Terrible product These chairs are not fit to buy. Only had them a year and a half and we are throwing them out. Warranty only 90 days is terrible and the company that made them won't do anything for you. Stay away from this item or you are throwing your money away.